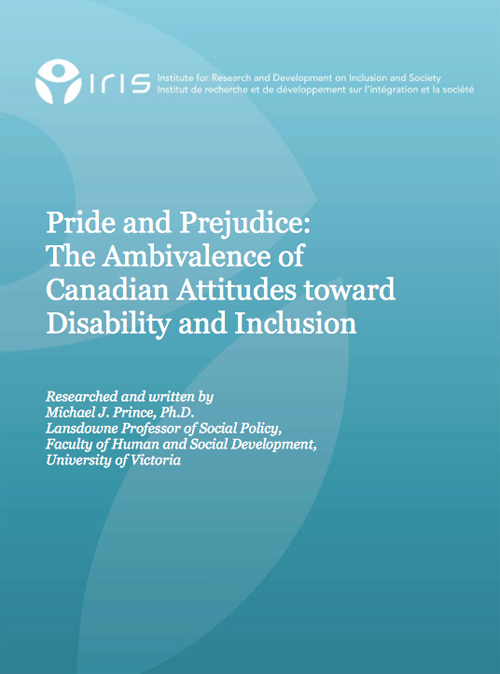 What values and attitudes do Canadians hold on matters of impairments and handicaps, of who they think of as disabled, on what they understand to be a disability, and on which institutions in society are responsible for taking action for advancing the inclusion of persons with disabilities? To take up these questions, this paper examines the 2004 benchmark survey and focus group results on Canadian attitudes toward disability issues commissioned by the Office for Disability Issues, Social Development Canada. The paper posits that public thinking on issues of disability is marked by contending attitudes and ideas of people with disabilities and by feelings of hesitancy and uncertainty over solutions for their social inclusion.